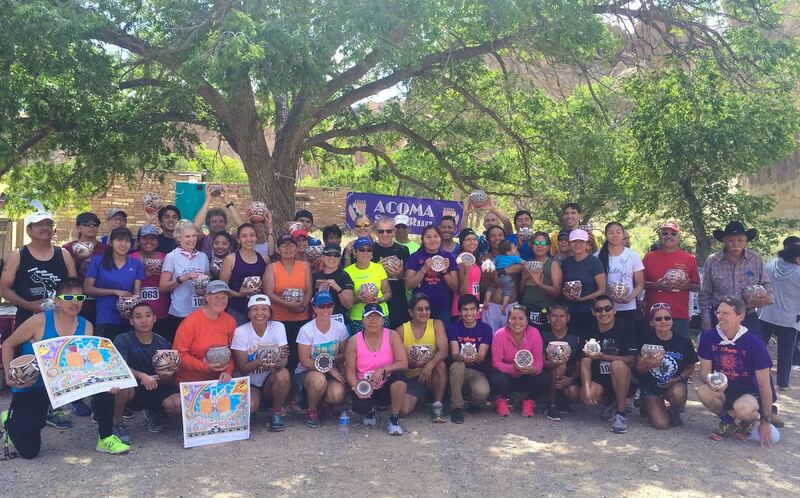 Come out for the Acoma Seed Run on Memorial Day! 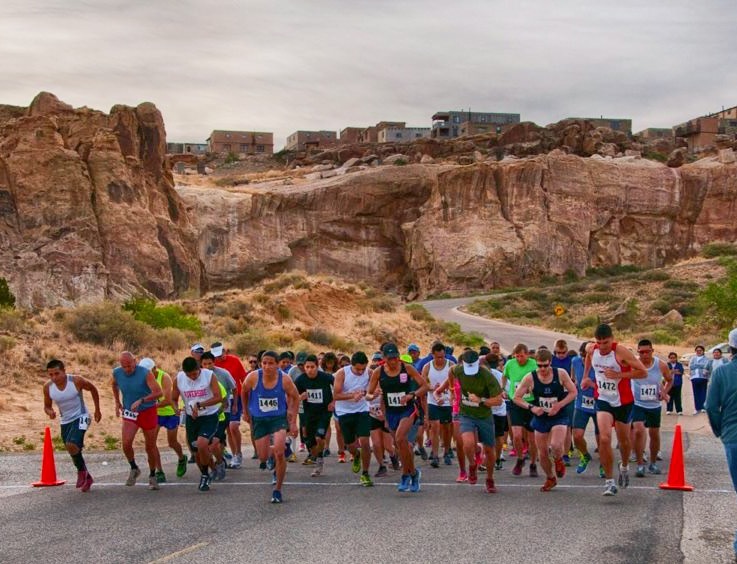 This beautiful course begins at the base of the historic 357 foot, Acoma Sky City Mesa and runs up one side of the mesa and back down the other side. The trail travels around the mesa at a distance that offers magnificent views of the oldest continuously inhabited community in North America. The 3 mile run/walk for fun trail also provides a beautiful scenic view as you travel counter clockwise around the mesa. 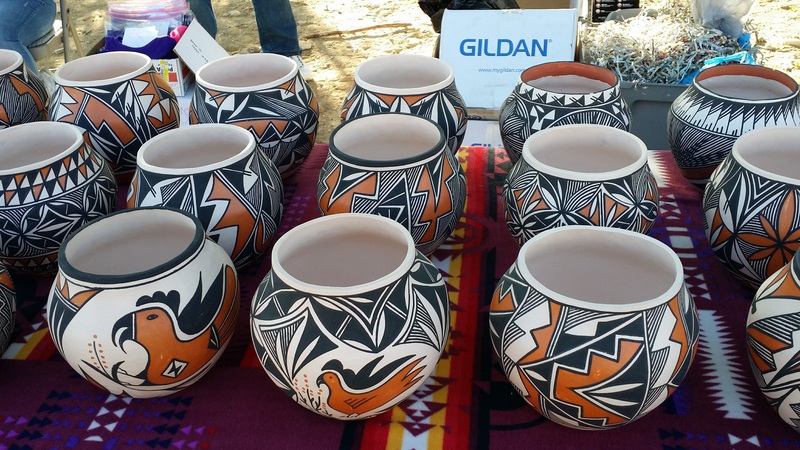 The Acoma Seed Run takes place at our homeland, the historic Pueblo of Acoma, Sky City. 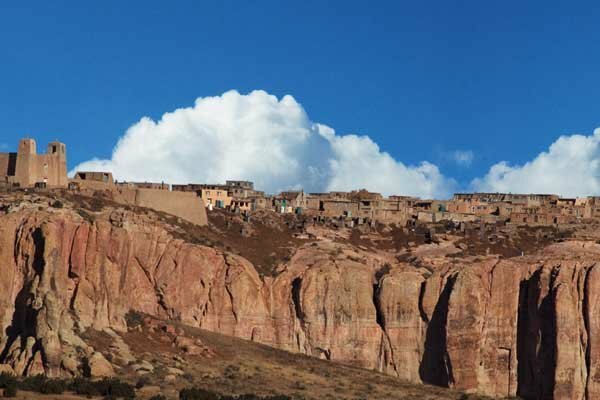 Located 55 miles west of Albuquerque, NM, take I-40 west, exit 108 and travel southwest for 12 miles to reach Pueblo of Acoma Sky City Mesa. 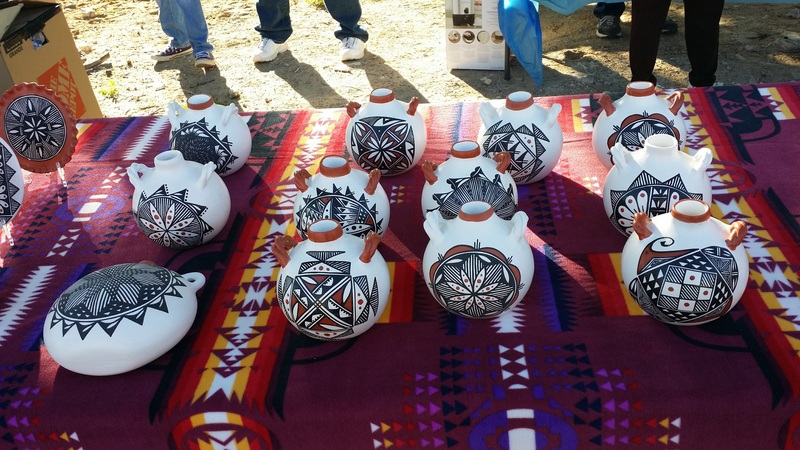 Located 15 miles east of Grants, NM, take I-40 east, take exit 96. 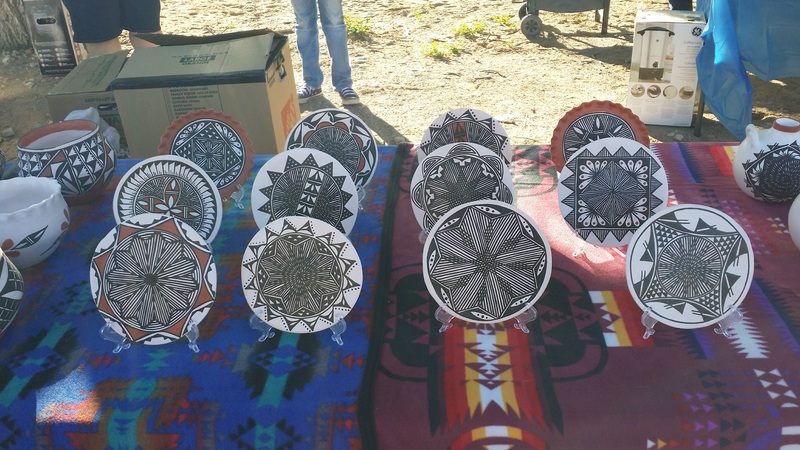 Travel south and follow signs to "Acoma Cultural Center and Haak'u Museum"
Due to our location, EARLY REGISTRATION IS STRONGLY ENCOURAGED! Packet pick-up and late registration will start around 6:00 a.m. to 7:00 a.m. on day of race. NO EXCEPTIONS WILL BE MADE. This will allow the race to start on time at 7:30 a.m.
8 Mile Course begins at 7:30 a.m. The race is extremely scenic and beautiful. It's a great way to ease your mind and soul. We start on the west side of the Acoma Sky City pueblo/mesa and immediately tackle the sand dune hill to reach the top of the mesa. Once on top, we head down the southeast side of the mesa onto the dirt trail which heads east then north. Running on the east side of the mesa provides a full view of the beautiful pueblo up top. Upon reaching our neighboring mesa, Enchanted Mesa, we reach the pavement and head southwest back to the start/finish line. 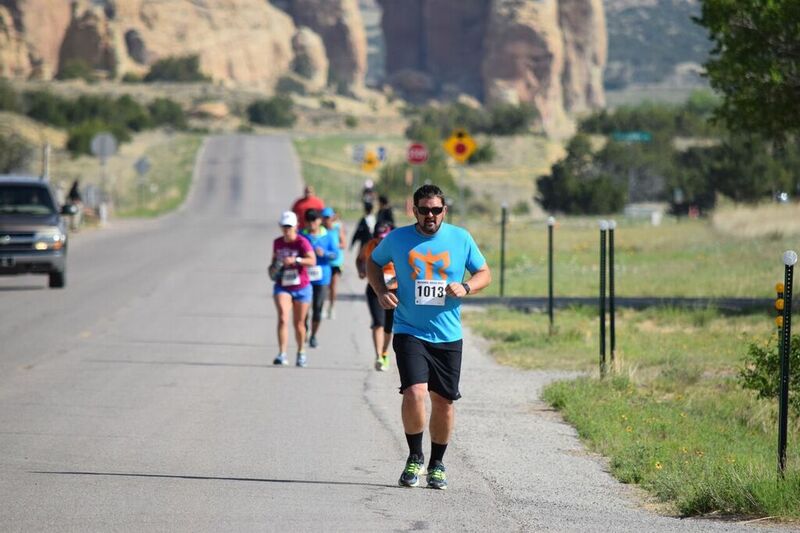 Reaching the pavement is the last stretch of the race, but with the surrounding view of mountains, rock formations, and the pueblo up top, the finish line will be reached in no time. 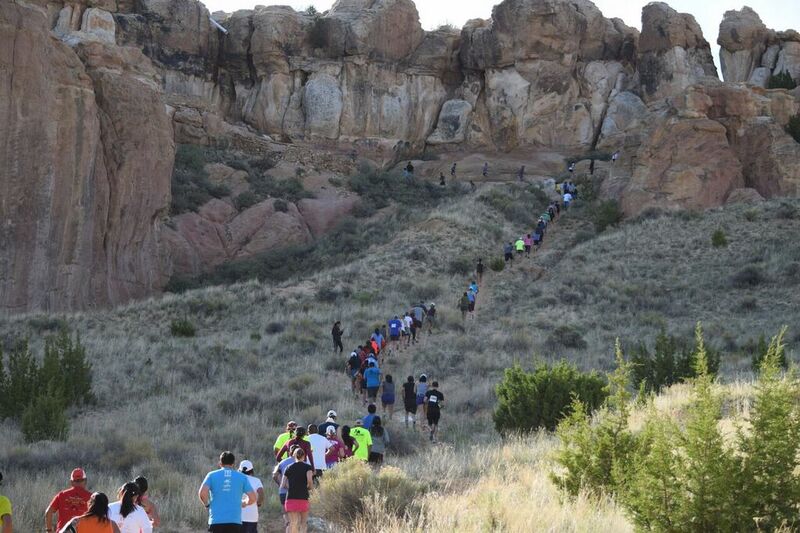 This beautiful scenic walk/run also begins at the east side of the mesa and travels south as it circles counter-clock wise around the base of Acoma Sky City Mesa. Shortly after the race is complete and the results are tabulated, awards for each age category will be presented. 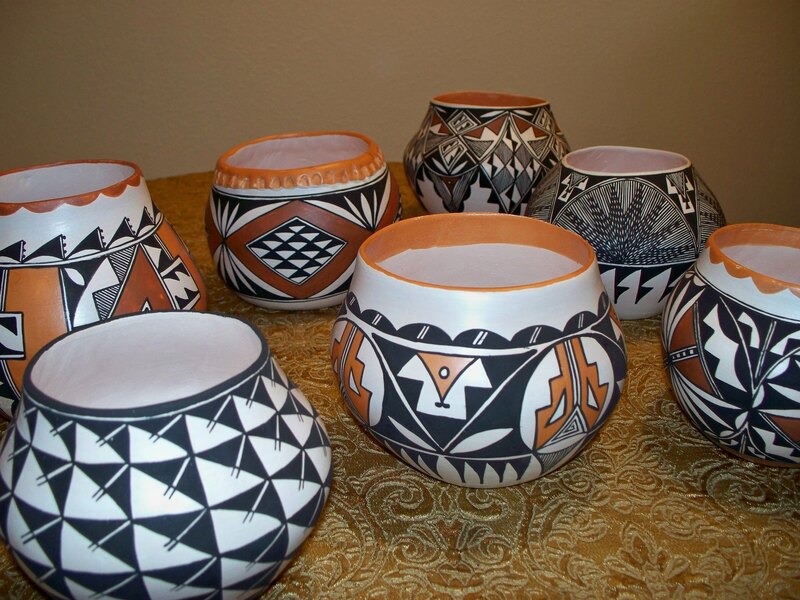 Handmade traditional Acoma pottery for 1st and 2nd places, and 3rd places will be awarded a waterjug for the males and a platter for the females. Each participant will receive a t-shirt at packet pick-up.